Last week, after work and iftar, I decided to test the new and awesome ML500 given generously to me by Mercedes Benz by driving it to Abu Dhabi to see the new Rolls-Royce Ghost Series II, the latest vehicle launched by the ultra-luxury British automaker. The intimate and exclusive event with a few motor enthusiasts was hosted by Abu Dhabi Motors in a new space designed as an auditorium which I loved as a space to showcase new cars. The subtle re-design of the popular Ghost family sees understated exterior changes coupled with the latest in industry-leading technology from Rolls-Royce. The result is the ultimate expression of modern dynamism and luxury, a dramatic yet graceful vehicle that is effortless thanks to cutting-edge technology. Arno was on hand as always to talk to us about the new features and changes to the Ghost Series II. In the front, re-sculpted LED headlights encircled by daytime running lights lend the vehicle a more striking aesthetic. A tapered ‘wake channel’ on the bonnet, emanating from the Spirit of Ecstasy, evokes the sight of a jet’s vapour trail or wake of a fast luxury yacht and hints at the car’s dynamism. Subtle re-sculpting of Ghost’s bumpers creates a stronger stance and a sense of extra width and height, whilst the contemporary design is further enhanced with the addition of chrome inserts to the front air intakes, which now feed more air cooling to the front brakes. In addition, the famous waft line has been re-designed on Ghost Series II to lean further forwards emphasising the car’s effortless vigour. Within the interior, the Ghost Series II delivers on its outward appearance, with the ultimate contemporary combination of luxury, technology and connectivity available today. Ghost Series II’s onboard technology ensures it is an oasis of calm in a busy, connected world. A suite of technologies ensure that both business and leisure time in the car are a super-luxurious effortless experience. On-board Wi-Fi transforms the Ghost Series II into the most connected, luxurious place in which to conduct business on the move, whilst Satellite Aided Transmission (SAT), debuted in Wraith last year, enhances the car’s dynamism – ensuring the car automatically adapts to its surroundings, augmenting the drive experience. Updates to navigation systems and the car/user interface ensures accessing the Ghost’s features remains an effortless experience, whilst optional Bespoke Audio – the most exhaustively engineered and finest audio system in automotive history – brings new levels of aural satisfaction to passengers. 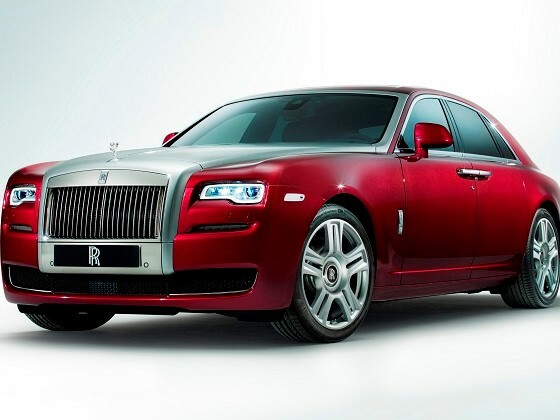 The launch of the Ghost Series II in Abu Dhabi comes as news that Rolls-Royce vehicles continue to grow in popularity in the UAE capital, with Abu Dhabi Motors reporting a 6% increase in sales of the ultra-luxury brand in the first half of 2014.